The Mitsubishi Motors Badminton Horse Trials is recognised worldwide, not only as one of the world’s oldest premier 3-Day Events, but also for its unique setting at the Duke and Duchess of Beaufort’s Badminton Estate. The Lakeside Garden is the perfect location to enjoy your day with a choice of premium food and beverages, all in comfortable surroundings at the iconic Badminton lake. Don't miss out on any action with live Big Screening of the event and use your reserved seating in the venue as your base for the day, or extend your stay with our evening entertainment. We are delighted to be hosting the Lakeside Hospitality areas in 2019 alongside our public bar. Reservations are now being taken for tables in each of our areas including, new for 2019 a dressage (Friday) and show jumping (Sunday) hospitality experience within the Boathouse Pavilion, with world renowned riders dropping in to give you their expert analysis and preview the days sport. In addition to the unrivalled views of what is arguably the most exciting point on the Cross Country course, every table booking will enjoy two complimentary bottles of Nyetimber Classic Cuvee, exclusive catering options, full table service from our hosts until 5pm when the party gets started with live entertainment and dancing until late on Friday and Saturday night! The Boathouse provides guests with the perfect vantage point to take in all the action throughout the Badminton Horse Trials as well as stunning views of Badminton House from the comfort of your own table under cover. The Lakeside Garden ensures you are the closest to the cross country action. All picnic tables are reserved for the entire day. 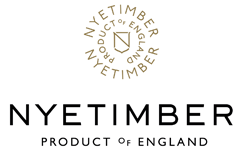 Each table seats up to 6 guests and includes two bottles of Nyetimber Classic Cuvee. The luxurious Nyetimber 1960’s Routemaster Bus will once again be within the Lakeside with options of bookings on the top deck or the garden. All picnic tables are reserved for the entire day and seat up to 6 guests. 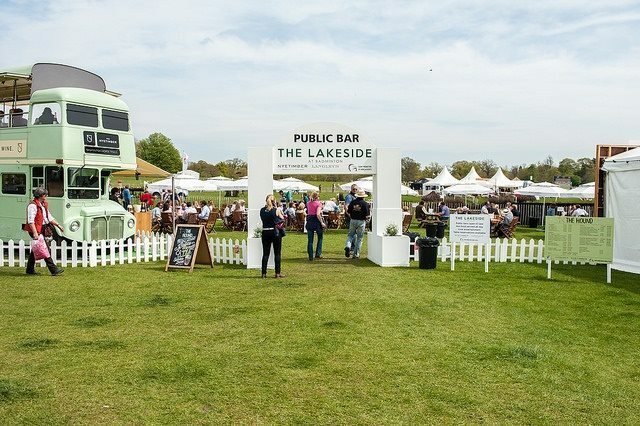 Our traditional public bar within the Lakeside Garden will be offering a full range of premium draught beers and ciders, spirits as well as soft drinks from Wednesday right the way through till Sunday 6pm. LIVE ENTERTAINMENT AND DANCING FRIDAY AND SATURDAY NIGHTS FROM 6PM!